GolfingDetails.com — Website Listed on Flippa: GOLF site - $2.7K BIN Bonuses - Over 350 Articles - Low Reserve! 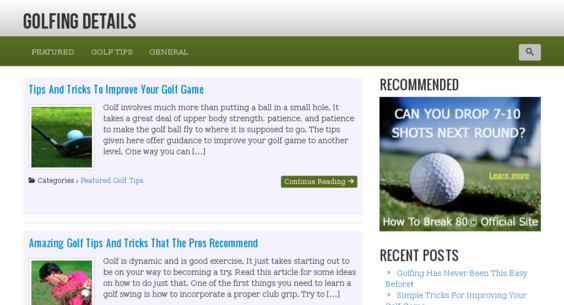 GOLF site - $2.7K BIN Bonuses - Over 350 Articles - Low Reserve! Completely pre-made & pre-configured starter site!